Oh' Boy does time fly. It's hard to believe that 2 years have come and gone since the launch of BlackBerryOS.com. On behalf of the entire team at BBOS I want to thank all the members, affiliates, and guests that continue to make BlackBerryOS the greatest place to be for everything BlackBerry. We will continue to work hard to bring you the latest and greatest as we have big plans this year in making BBOS a better site for your BlackBerry experience. Thanks everyone!! 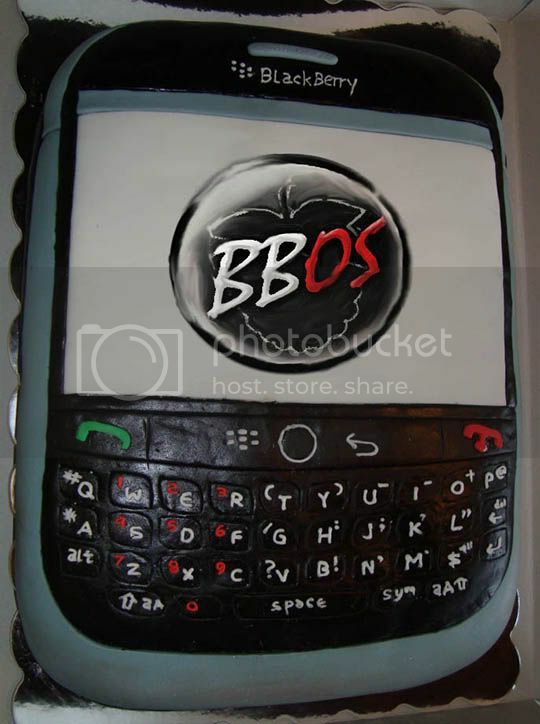 Contest: In celebration of BBOS turning 2 years old, we are giving away a $50 gift card, good toward our BlackBerryOS Store, to one lucky winner! To enter for your chance to win, all you have to do is leave a Happy Birthday reply (not registered? click here). Contest entry ends on Sunday, March 6, at 12 midnight EST. The winner will be randomly chosen. Congrats to BBOS member teostar! Play old school Nintendo on your BlackBerry with Berry FC 2.0! We already announced the GameBoy Color emulator for BlackBerry which was released back in December. 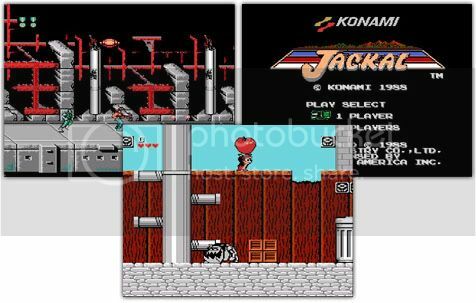 Today, we now have the original Nintendo emulator for those who have been waiting for it to hit the BlackBerry device! Developer LiHui has created what he calls Berry FC v2.0, a Nintendo game emulator for BlackBerry based on the original Nintendo gaming system. Now you can play your old favorites like Zelda and Mario right from your BlackBerry without having to break out the old console! In addition, we have 20 copies of Berry FC 2.0 to give away courtesy of LiHui! CONTEST: For your chance to win a free copy of Berry FC, simply leave a comment. Not registered? Click here. Contest entry ends Saturday, March 5, at 12 midnight EST. Winners will be randomly selected. Let the games begin! Your co-worker's phone has died or was forgotten at home, & they ask you if they can make a quick call on your phone. You hesitate to offer him your phone because of the sensitive information that lies within Facebook. 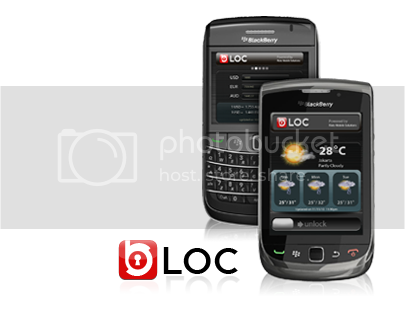 Well, Risto Mobile Solutions has got you covered with bPRIVATE - Privacy App Blocker for BlackBerry. The premium version let's you password lock up to 6 applications (BBM, Inbox, Facebook, Address Book, Calendar, Memo & Media) so that prying eyes are left wondering what you've hidden, while the free version is limited to 1 application. My only concern with this application is that blocks are delayed 2-3 seconds, & you can actually see what is within those applications for that brief instant. Other than that, this application is a must-have for anyone who feels that their sensitive information should be guarded. Risto Mobile has hooked us up with 15 copies of this application to give away. Just leave a comment in the forums for a chance to win!! Have you ever had your phone in your pocket & accidentally pocket-dialed someone? Had your phone accidentally open an app & drain your battery? The user interface seems very easy to understand, but it seems the application does not automatically load after a battery pull. When testing this application on my Bold 9780, I had to press the RETURN key in order to have the slider appear. A slight discomfort, but nothing that a typical user wouldn't get accustomed to. I was still able to receive call while the application was running & it didn't seem to affect the memory while running. "SmrtGuard is calling the contest the "Refer-a-Friend Contest" which will also include other prizes amongst the Torch device. How does one win? Easy! Whoever refers the MOST number of unique users to try SmrtGuard will win! We even have a scoreboard that is updated daily. In addition, the top ten referring SmrtGuard users on our scoreboard will win a Lifetime Subscription to SmrtGuard Pro." 2. Launch SmrtGuard application on your smartphone. 3. Click on your smartphone menu key and select 'Suggest to friends'. counted when the referred user has downloaded the SmrtGuard app. 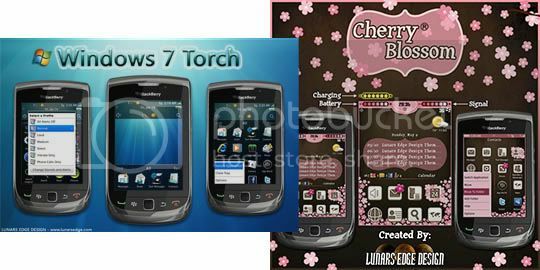 Our sister site, Lunars Edge Design, has just updated their Windows 7 and Cherry Blossom themes for Torch 9800 compatibility. With this announcement comes 20 free copies for our registered members! This should please both genders out there as you have the choice of a pink one and blue one to select from. Contest: To kick things off, we have 20 copies to giveaway. To get entered for a chance to win one copy, simply leave a comment to this blog. Winners will be randomly selected on Fri, the 21st, and contacted the following day. Giveaway: MobileQs Trivia Game - Only 7 copies left!! 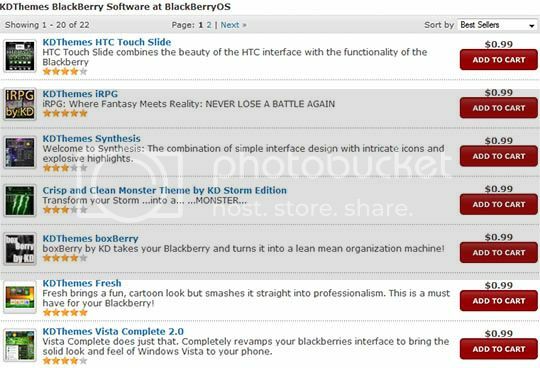 MobileQs Trivia Game for BlackBerry has been updated with 9 new categories. They are Animals, Combat Sports, Cricket, Fine Arts, Games, Geography, Nature, Performing Arts and Science. MobileQs is a great game to challenge your mind with expansion packs that cover a wide range of topics. You can download MobileQs Trivia game for $0.99 (50% off for a limited time) at our BlackBerryOS App Store. Compatible for all devices running OS 4.5 and up. This is for you gamers out there who have been waiting for a Nintendo emulator to hit the BlackBerry device. Developer LiHui has came out with Berry GBC, a game emulator based on the Nintendo GameBoy Color handheld console. Now you can play your old favorites like Zelda and Mario right from your BlackBerry without having to break out the old console! In addition, we have 20 copies of Berry GBC to give away courtesy of LiHui! For your chance to win a free copy, simply leave a comment. Contest entry ends Thurs, Jan 6, at 12 midnight est. Winners will be randomly selected and announced the following day. Let the games begin! We have another great theme giveaway for you folks! This time it's the Android based theme called GingerBread, by ALH Designs. This theme is ALH Designs version of the Google Android Gingerbread OS ported over for Blackberry. It comes in 3 different flavors, Original, Blueberry, and Cherry. You can download Gingerbread for only $0.99 on sale in our BlackBerryOS Store. Don't forget to follow ALH Designs on Twitter to keep up with the latest from their themes... @Adam80460, @BerryFx. We have 20 Copies to give out, so leave a reply to get entered and win a copy of this great theme. Contest entry ends Sun, Jan 2 at 11:59 est. Winners will be randomly selected and announced the following day. "A Merry Christmas from KDThemes...with presents! You've all had to have been awful good this year cause KDThemes is bringing Christmas cheer! To start off, KDThemes is giving away 50 copies of ANY KD Theme to the first 50 members to leave a comment to this blog! "Wrapping" things up, is the PERMANENT price change of all KD Themes to only $0.99! That's right, not only is it a Christmas sale, it's a Going Away/New Years sale too! KD Themes is packin' up shop and wants to thank ALL of his customers throughout the times! Without your inspiration, ideas, critiques and support, none of this would have been possible! Its been a long, rewarding and AWESOME road, and I thank each and every one of you! Merry Christmas to all, and to all a good night! (Carol-song references!)" Thanks KD, and we'll miss your great theme designs as well. To get your coupon code for a free copy of any KD Theme simply leave a comment to this blog. The first 50 to respond win, so hurry!! Codes will be awarded tomorrow, after the Christmas holiday. Attention BBOS members and guests! This is the last week to get in on the Motorola DroidX theme by Lunars Edge Design. This theme is FREE to all registered members that enter the giveaway. To get your free bDroidX theme, and to find out how to register, simply follow the instructions which are located in the forum. If you just can't wait and need it now (for you addicts), then head over to the Online Store and download bDroidX on sale. For Theme Thursday, we're going to look at Swag, from drkapprentice designs. I've been using several of his themes now for quite some time, and I have to say, my first impression of Swag was way off base. Initially I thought this looked like a pretty simple design to come from a theme builder who we have gotten use to throwing together some complex themes...DRK7S and Recon to name a few. But, I had to load it to find out for myself, and to say the least, I'm very impressed. Swag is very sharp with the graphics, with a simple but appealing look that's very clean. The landscape view has gotten rid of the stock graphics and been replaced with the theme's. The transitions from screen to screen are also impressive. Very fast and no lag as you sometimes see in other themes. Another thing I like about drkapprentice themes is that he uses the BB fonts that you have chosen to use, and he doesn't disappoint here. You still get your chosen fonts in the menu screens but also with a transparent background. All of this, coupled with the OS 6 icons makes this one slick theme that you really do have to get.